The CAMECA Atom Probes provide the three dimensional position and composition of the original location of the atoms in the specimen. This represents a tremendous amount of information, hence the need for a sophisticated visualization and analysis software to enable APT users to extract knowledge from the data, quickly and easily. 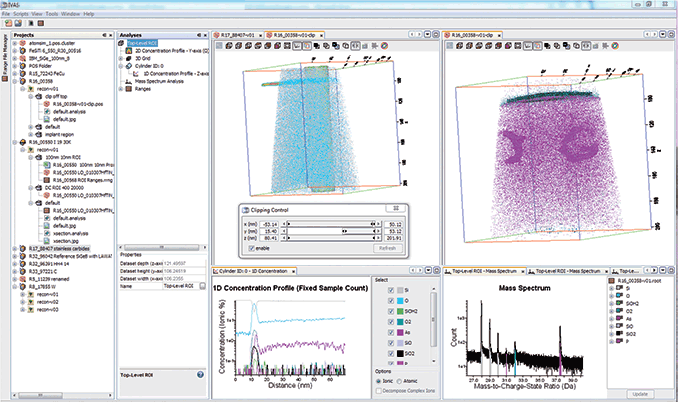 Specifically developed for the CAMECA APT instruments, the IVAS® software is included in the standard software packages of all LEAP and EIKOS models. IVAS runs on the latest Windows® operating systems and offers powerful multi-threaded 64-bit computational analysis.